Six companies have issued a joint statement at the CMS Blue Button 2.0 Developer Conference to address barriers to the use of technology platforms that work to facilitate health care interoperability. 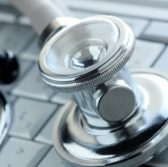 Microsoft, IBM, Google, Salesforce, Oracle and Amazon have vowed to work together to “unlock the potential in health care data, to deliver better outcomes at lower costs,” Josh Mandel, chief architect for health care at Microsoft, wrote in a blog post published Monday. The tech companies laid out four basic assumptions to advance the dialogue about health interoperability and one of those is the capacity of health data exchange to build up user satisfaction, reduce costs and improve patient care. Other foundational assumptions in the statement include the use of open source tools and open standards to streamline data exchange; engagement with open standards communities in the development of health standards; and the need to empower health providers and other stakeholders to help build and test new technologies and services to facilitate health data interoperability.